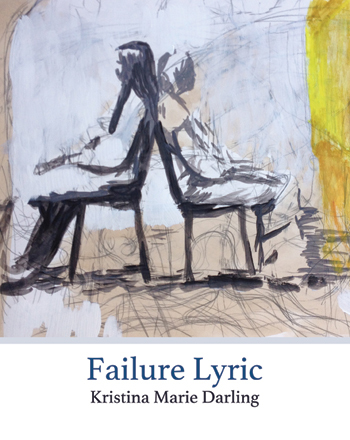 Kristina Marie Darling is the author of over twenty collections of poetry and hybrid prose, which include Vow, Petrarchan, and Scorched Altar: Selected Poems & Stories 2007-2014. 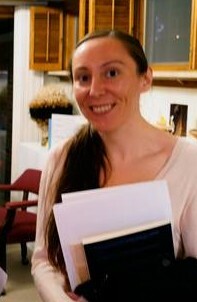 Her awards include fellowships from Yaddo, the Ucross Foundation, the Helene Wurlitzer Foundation, the American Academy in Rome, and the University of Washington’s Helen R. Whiteley Center, as well as grants from the Elizabeth George Foundation, the Kittredge Fund, the Ora Lerman Trust, and the Rockefeller Foundation Archive Center. 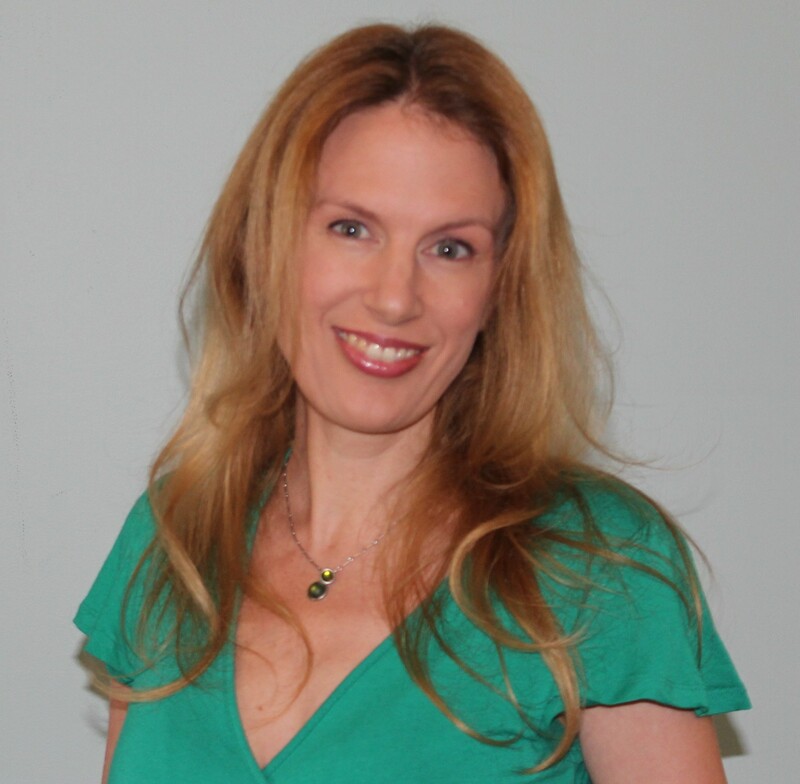 She is currently working toward both a Ph.D. in English Literature at the University at Buffalo and an M.F.A. in Poetry at New York University. She serves as Assistant Editor for Handsome, Associate Editor for Tupelo Quarterly, and Founding Editor of Noctuary Press. Her experimental memoir, Failure Lyric, was just released by BlazeVOX Books. I started writing and submitting work for publication when I was in high school. I knew early on that I wanted to be a writer, but I wasn’t sure exactly how to get started. I bought a copy of Writers’ Market and sent my poems just about everywhere. You probably guessed that I received eighty or so rejections before I got my first acceptance. I would put the rejection slips in a little drawer, and then after awhile, the drawer wouldn’t close. Then, when my first publication finally arrived, it was stapled crooked and most of the poems were just awful. I didn’t get discouraged, though, since I knew that one publication was something I could build on, and that small things can turn into bigger things. Kristy Bowen at Dancing Girl Press was the first to take a chance on one of my chapbook manuscripts, and for that I’m still so grateful. Having a couple of publications and a chapbook helped me build more of track record, and within two years, I had some prose appear in The Gettysburg Review. My experimental memoir, Failure Lyric, was just released by BlazeVOX Books, and I couldn’t be more excited. The collection pairs erasures with flash essays that depict a romance that was doomed from the start. The project began with the erasures, in which I took a black marker to a four-year correspondence with a male writer, who out of respect for his work, will remain unnamed. The erasures of our personal correspondence became the preface and the epilogue. The middle of the book is comprised of flash essays, which map my heartbreak through all of its various geographic locations: Burlington, St. Louis, Iowa, and the now infamous Dallas/Fort Worth airport. I see this book as an exploration of grief and the complicated orbits that it set me on. Piled high with review copies! This past year, I’ve been lucky enough to receive fellowships from numerous art centers, which have afforded me time and space to work whenever I’m not teaching online courses. It’s great to be able to set my own schedule, and teaching is usually a welcome break when the manuscript writing gets tough. With that said, I’m a morning personal whether I’m following a schedule or not. I know, how boring! Much of my practice is collaborative. In the past few years, I’ve worked on books and other projects with poets, fiction writers, photographers, costumers, fashion designers, composers, and installation artists. Even when I’m not working on a collaboration in the traditional sense, I’m always in dialogue with other texts and works of art. My writing comes from a desire for social justice. Much of my work challenges existing genre categories, which are highly gendered. It is those in power who dictate what counts as “poetry,” “fiction,” or “nonfiction,” and I believe it is for this reason that so much of women’s writing exists across, beyond and in spite of genre categories. My new book, Failure Lyric, interrogates the boundaries between memoir, poetry, and flash fiction, suggesting that autobiography can take many forms, some more direct (and more overtly “truthful”) than others. Being a reviewer! Because I review books and work on the reviews page at Tupelo Quarterly, I’m constantly being exposed to writing that is much different from my own. This is great because my own aesthetic and my writerly predispositions are constantly being challenged. There’s nothing better than being pushed out of my comfort zone. The hardest part of what I do is saying no. 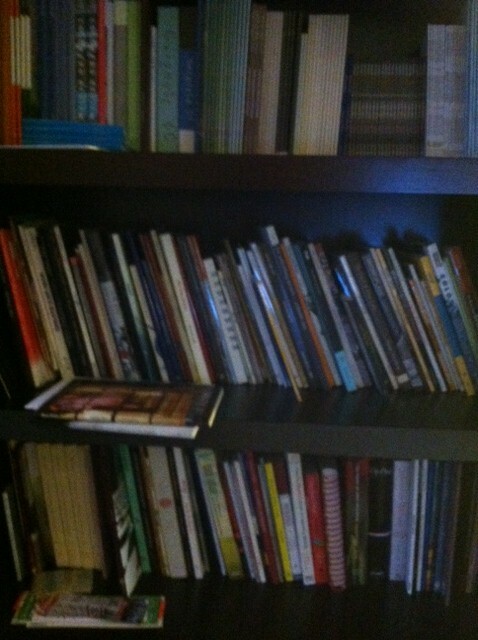 There are so many books I’d love to review, and so many projects I’d love to work on or publish. I wish I could just not sleep and take on every opportunity that came my way. I wish I knew that prestige is overvalued, and that community is what’s really important. I would love to see M.F.A. programs teach students how to be good literary citizens. How to build community, connections, friendships, and readers. How to be fearless in reaching out to others whose work you genuinely admire. And how to contribute something of one’s own, rather than simply asking things of others. This notion of literary citizenship is part of my vision for myself as an educator, and informs much of my teaching. Donna Stonecipher, Molly Gaudry, Megan Levad, Julie Babcock, Virginia Konchan, Carrie Olivia Adams, Carol Guess, Kelly Magee, Elizabeth J. Colen, Lisa Olstein, Allison Titus, Rosemarie Waldrop, Nina Alvarez, and Laura Madeline Wiseman. Thank you, Kristina Marie Darling! Like this interview? Follow WordMothers or Subscribe to meet more great female poets!